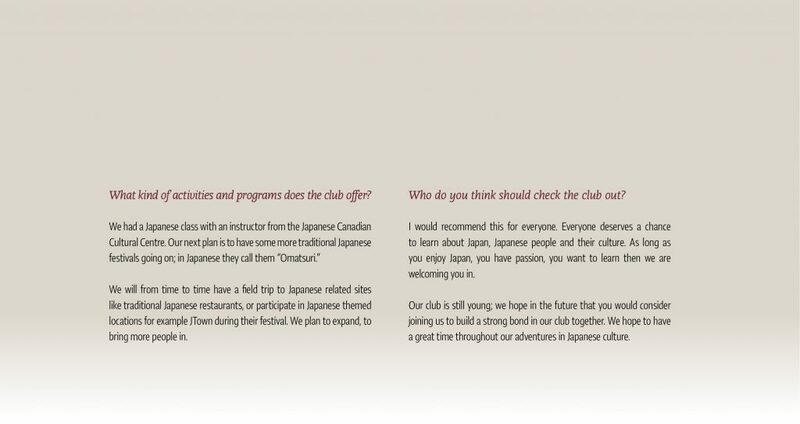 The Japanese Cultural Club offers the students of Centennial College the opportunity to expand their horizons and explore a new culture while enjoying an exciting learning opportunity! It will also connect students that are interested in Japanese culture, and perhaps even prepare students for a future career in relation to the Japanese, a technological powerhouse! What was the process behind the founding of the club? We all started from a branch of the Anime Guild. 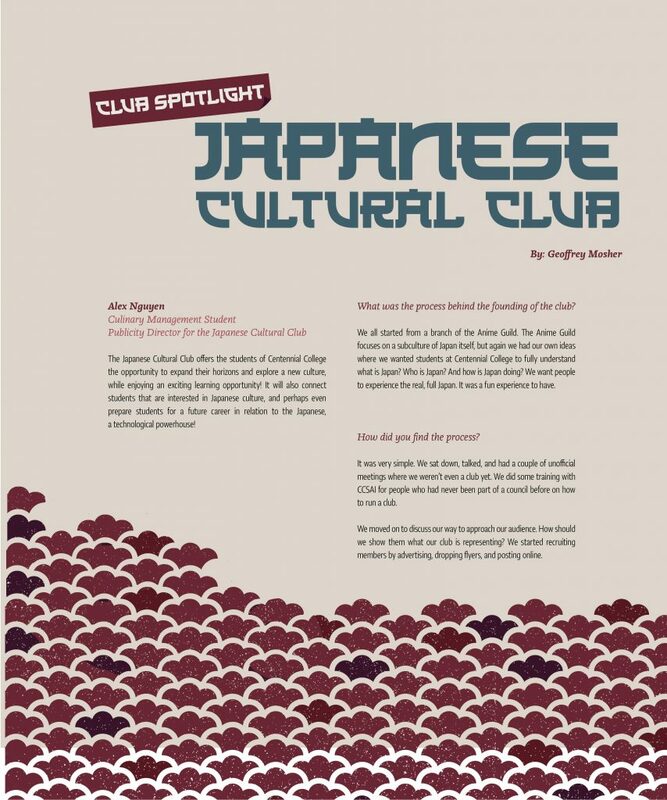 The Anime Guild focuses on a subculture of Japan itself, but again we had our own ideas where we wanted students at Centennial College to fully understand what is Japan? Who is Japan? And how is Japan doing? We want people to experience the real, full Japan. It was a fun experience to have. It was very simple. We sat down, talked, and had a couple of unofficial meetings where we weren’t even a club yet. We did some training with CCSAI for people who had never been part of a council before on how to run a club. We moved on to discuss our way to approach our audience. How should we show them what our club is representing? We started recruiting members by advertising, dropping flyers, and posting online. What kind of activities and programs does the club offer? We will from time to time have a field trip to Japanese related sites like traditional Japanese restaurants, or participate in Japanese themed locations, for example, JTown during their festival. We plan to expand, to bring more people in. Who do you think should check the club out? Our club is still young; we hope in the future that you would consider joining us to build a strong bond in our club together. We hope to have a great time throughout our adventures in Japanese culture.